Photo by Chad Plauche-Adkins Marietta Mayor Joe Mathews, Commissioner David White and city council President Josh Schlicher watch Aunekia Ewing cut the ribbon at the Big Lots grand opening celebration Friday in Marietta. 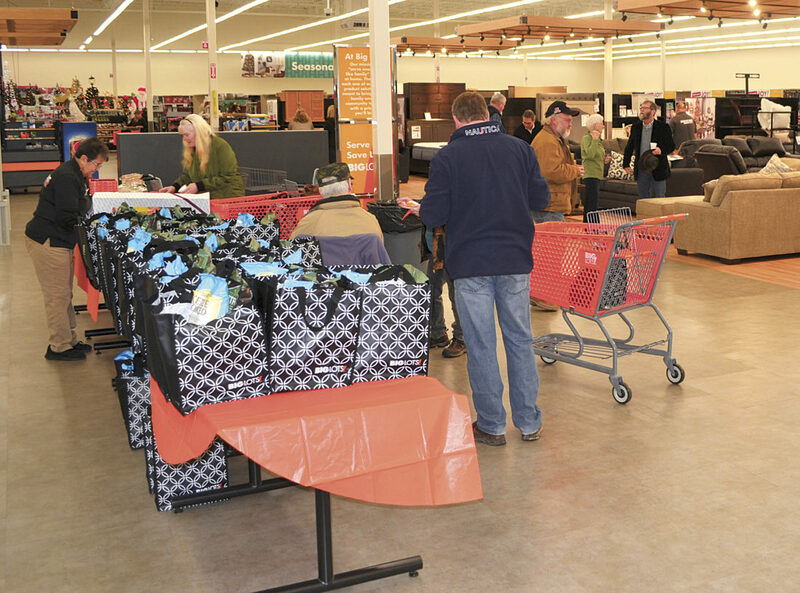 Photo by Chad Plauche-Adkins Shoppers enjoy refreshments and goodie bags at the Big Lots grand opening Friday. MARIETTA — Shoppers applauded as the orange grand opening ribbon was cut and cascaded to the ground Friday morning at the new Big Lots location at 110 S. Seventh St. The 29,000-square-foot store will give shoppers a better experience, said Dewayne Tanner, district team leader for Big Lots, which was previously on Acme Street. The new site at the former location of Food 4 Less opened a few weeks prior to Friday’s grand opening. The approximately 25 shoppers who attended the grand opening ceremony were treated to cake and refreshments as well as goodie bags filled with food treats from around the store. Aunekia Ewing, of Reno, was the ribbon cutter for the event because she uses the Big Lots reward program more than anyone else in Marietta. “They have a lot of great deals on a lot of different things,” she said. The layout of the new store, Ewing said, was very inviting. “We are changing more in all the stores to make the customers’ shopping more enjoyable,” Tanner said. 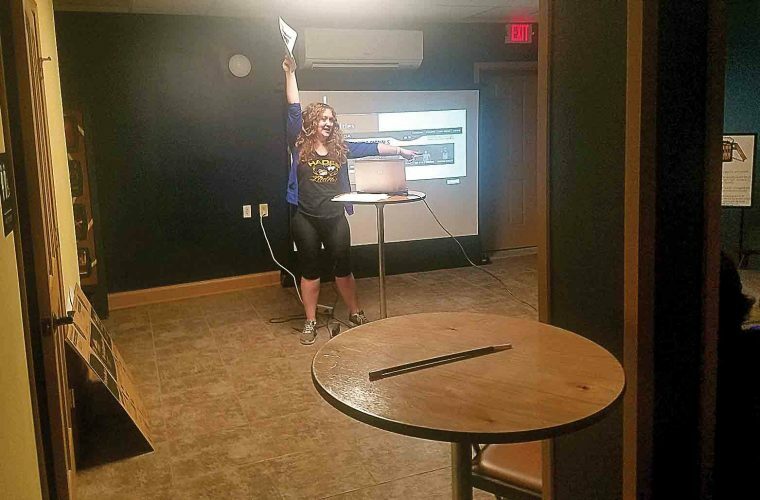 Wider aisles, roomier displays for furniture and an eclectic choice of products is what Tanner said people can look forward to while shopping at the new location. He also said this store will be a model for other locations to emulate. Tanner said Big Lots has always been known for great deals on smaller household items, but now they are receiving recognition for other products. 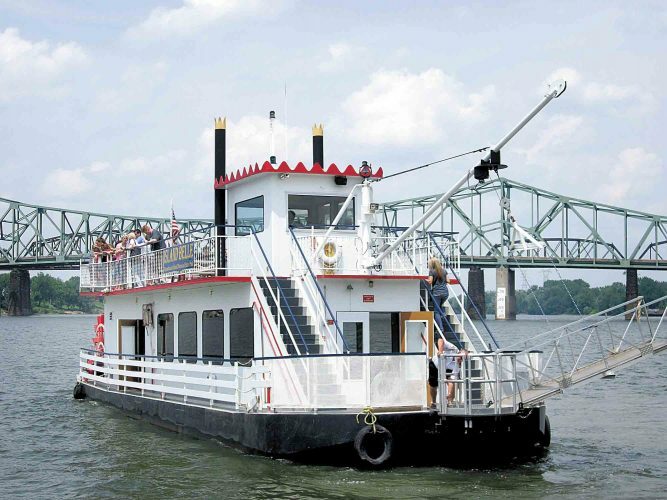 Marietta Mayor Joe Mathews said he was impressed with everything that the new location provided the people of Marietta. The site had been vacant since the Food 4 Less closure in June 2017. 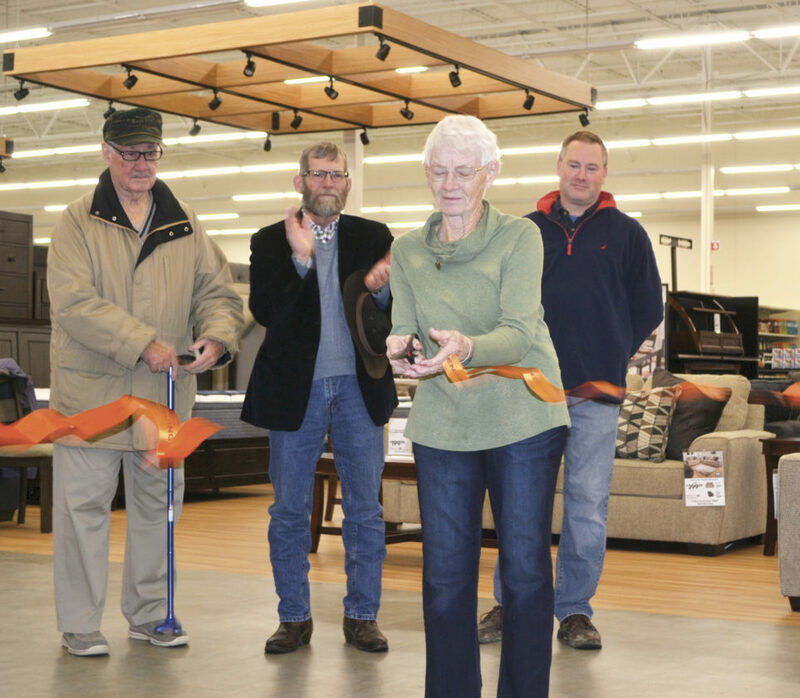 The grand opening also coincides with the kick-off of Big Lots fundraising campaign for the Habitat for Humanity of the Mid-Ohio Valley, which will run through Jan. 14. Tanner said for every Big Lots reward member that claims a reward, Big Lots will donate $5 to Habitat for Humanity. Alvin Phillips, executive director of Habitat for Humanity of the Mid-Ohio Valley said the money will go to help families in Washington County realize the dream of owning their own home. “Most of the work we’ve done in 2018 has been in Washington County,” he said. The organization’s latest home on Green Hill Road will be transferred to its new owners on Dec. 16, Phillips said. Tanner said that helping organizations like Habitat for Humanity is going to be a priority for Big Lots in the future. “We are becoming community involved like never before,” he said. The former Big Lots location on Acme is owned by Bridgeport Equipment, whose representatives have said they will use the space to expand their showroom.